Learn about your child's development and save a timeline of the most important memories in one beautiful parenting app. With Ovia, you can track and share every photo, video, and milestone privately with loved ones by inviting them to join. Let them see your updates, upload their own memories, comment and favorite directly on their phones! • Dynamic timeline with content and tips just for you! Ovia Parenting is designed for all families. We know every caregiver and child is different, so we made it easy for you to read up on a variety of parenting styles. Track your child’s development with illustrated milestones, and even create your own milestones and events! With Ovia Parenting’s milestone checklist, you can see what to expect from postpartum through baby’s first year and beyond. Ovia Parenting gives you a home for all the big moments as well as the spontaneous details you’ll treasure for years to come. Share photos securely and privately. Invite your partner and fellow caregivers to share full access to your family’s timeline. Admins can also invite friends and family to watch baby grow. Ovia Parenting is even better when you invite your partner, friends and family to join. Connect with other parents and caregivers in Community. Take polls, answer questions and leave comments privately and anonymously. Learn what to expect for the first year and beyond! Ovia Health is a digital health company that uses mobile technology to help women and families live healthier lives. 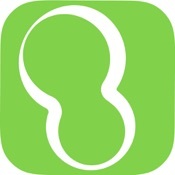 The Ovia Health apps have helped millions of women and families on their fertility, pregnancy, and parenting journeys. With billions of data points collected and analyzed, Ovia Health uses data driven science to help women conceive up to 3x faster than the national average, have healthier pregnancies and start families with confidence.